An update to Google Maps will make sure you know how long it will take to get to where you’re going (and why). 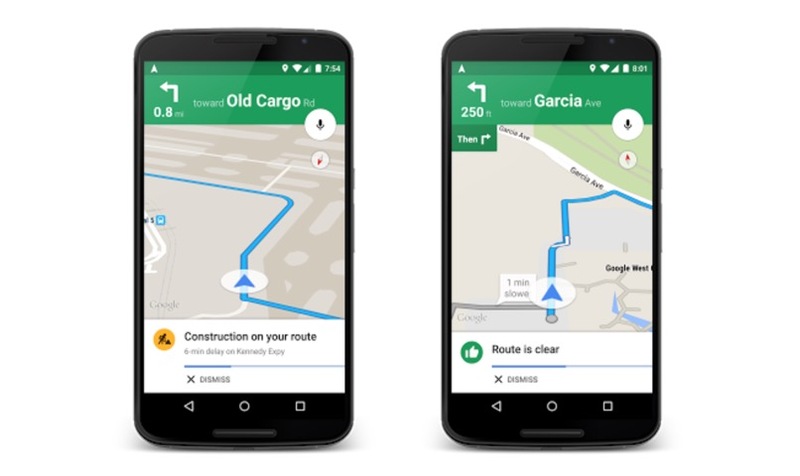 When you enter a destination into Google Maps, you’ll now be met with a traffic summary of the suggested route. Maps will also alert you to traffic conditions as you drive so you know if you’re about to hit congestion. Maps will even tell you how long you’ll be sitting in traffic as conditions change. If you’d rather keep moving, Maps will offer up alternate routes for you in a pinch. You’ll even get an explanation of why the new route is suggested (it may be faster, or sidestep road conditions). The update isn’t live yet, but Google says it will arrive before the weekend.